Human serum albumin (HSA) protein. 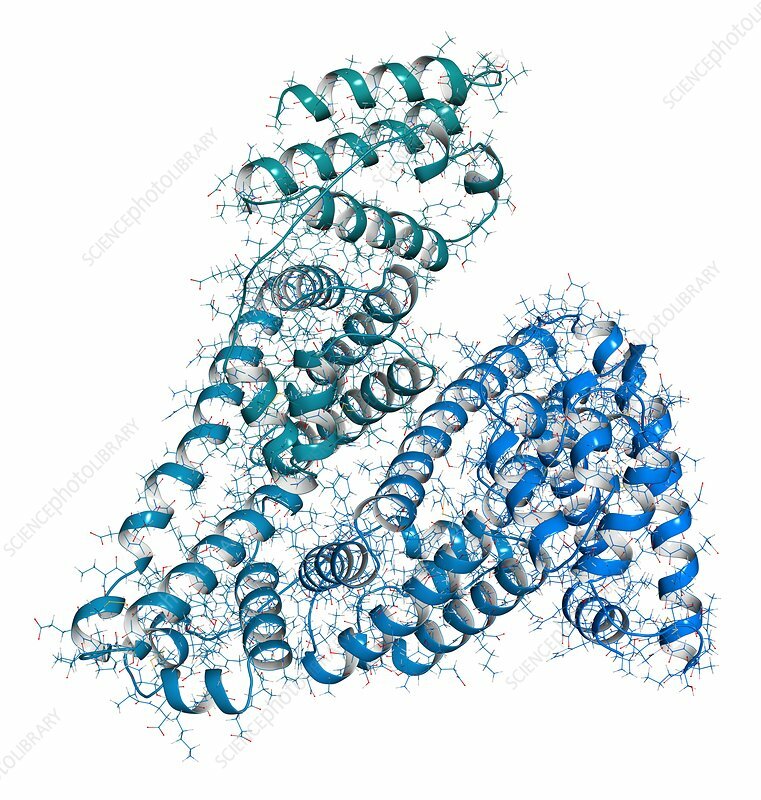 Most abundant protein in human blood plasma Combined wireframe and cartoon model. Cartoon and carbon atoms: backbone gradient colouring (blue-teal); other atoms: conventional colour coding.